This series of eleven 1 hour webinars is designed to provide a focused review of the ICD-10 coding system by medical specialty. The program will provide each participant with information needed to facilitate proper assignment of the appropriate ICD-10-CM code. The program will also cover general ICD-10-CM coding conventions. Upon completion of the webinar series, each participant should be able to identify issues and documentation needed to allow for correct ICD-10-CM coding. 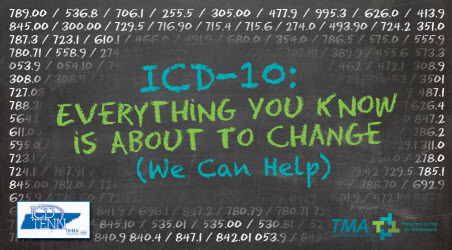 Overview of ICD-10 – RECORDING AVAILABLE! General Medicine / Primary Care – RECORDING AVAILABLE! Urology – December 5, 2013 – RECORDING AVAILABLE! General Surgery – RECORDING AVAILABLE! Behavioral Health – RECORDING AVAILABLE!